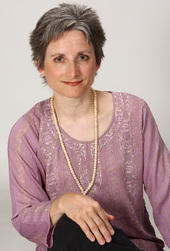 Suniti has been involved in the healing arts and spirituality for over 20 years. She discovered her spiritual gifts and passion for healing after recovering from depression and addictions back in the 90’s. In her work, Suniti’s heart-centered approach comes from a place of deep empathy and caring. Her first aim is to assist her clients with the releasing and balancing of trapped energies so that the new may come in. Old limiting mindsets and emotional/physical patterns start to shift allowing for greater peace, harmony, and well-being to be experienced. Suniti has studied and is certified in a wide range of healing modalities and systems including BodyTalk, Reiki, Reflexology, Magnified Healing, Axiatonal Realignment, Matrix Energetics, Homeopathy, as well as NLP, Hypnosis, and Past Life Regression. As she works energetically with clients, she connects with them deeply, and she allows her intuition to guide her to the right modalities or “tools” that will help them the most. Through her work as a Oneness Blessing Giver, she has the unique ability to channel the higher frequencies of the Divine which deeply enhances her work. Suniti's ultimate intention is to assist her clients in empowering themselves and in finding their own inner truth. She strongly believes that we all have the power to create a fulfilling life for ourselves, and live with integrity, from our heart.